The Forex market can be seen as a disorganized horde of persons with one common goal, and that is to determine the future disposition of the currencies which is the sense of balance of power between the ups and downs (the bear and the bull) and by this means earn from a correct Forex trading at the end of the day. However, it’s essential to understand that this group of people is comprised of different individuals; each one of them is prone to opposing and inconsistent emotions. Positive and negative outlook, fear and hope – all of these emotions exist in one trader at different times of the day or in manifold of Forex trader or group at the same time. In any Forex trading choice, the main goal is to build a sense out of this emotion, thus learning and taking advantage of the psychology when trading currencies. A lasting bullish market in several currency, commodity or equity may leads to the general public to believe that the trend will not end. Such optimistic thoughts lead the trader to go too far in acquiring the object of desire, while lenders plunge over each other in an attempt to feed the fire. Sooner or later, panic arises in traders as they begin to think that Forex market trend is not as strong as they thought it be. 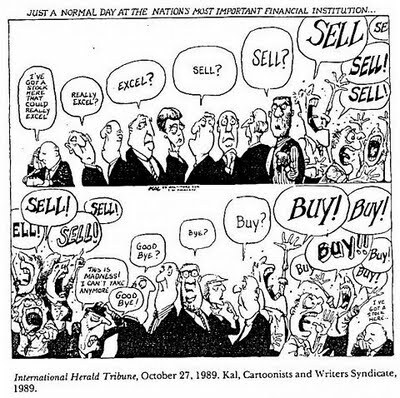 Unavoidably, the trend collapses as that crowd’s fear turn into panic selling which creates a nasty twist that put the price to a mark lower than it was prior to the craze started and may possibly take months or even years to recover. Previous Post: EUR/USD at 1.2000 by the Year Ends?